Casey Bolanowski, 2015 Schalarship Winner! Picture Information: Paul Bolanowski, father, Casey Bolanowski, Scholarship recipient, Joan Wolsiefer, FWC Education Chairperson. Over $14,000.00 was distributed to the following charities: NAMI, Ability2Work, Hunterdon Youth Services, Safe in Hunterdon, Family Promise, Meals on Wheels, Briteside Adult Day Care, Hunterdon Hospice, FWC Scholarship, Flemington Fire Dept, Raritan Twp. Fire Dept., YMCA Annual Fund, Lights of Love- HMC, Safe in Hunterdon, NJ Special Olympics, Flemington Food Pantry, Hunterdon Regional Cancer Center, Flemington Public Library and the Flemington Woman's club. Members baked cookies to be distributed to local nursing homes. At the November meeting of the Flemington Woman’s Club, club members donated Holiday gifts for the residents of the Hunterdon Developmental Center. American Home committee chairperson is coordinating the effort. A $2,500. donation was made to Family Promise of Hunterdon and the Interfaith Hospitality Network of Hunterdon County program is a non-profit 501(c)3 agency, established in 1990. They work together to end the homelessness in Hunterdon County, New Jersey. As her mother looks on, accepting this year's Flemington Woman's Club Scholarship in the amount of $2,000. 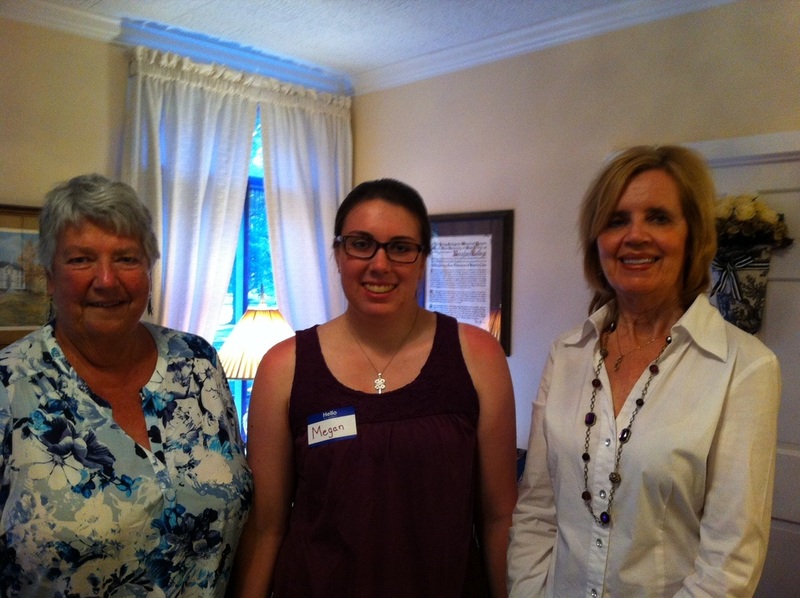 from Joan Wolsiefer, FWC Education Chair, is Brianna McDyer of Flemington. Brianna will be attending La-Salle University as a business major. ​Picture Information: Ursula Pohl, Treasurer, Karen and Zachery Monroy of Ability2Work, Joni Lauyer, FWC Vice President, Anita Bush, FWC Civics Chairperson, and Jennifer Dowd, FWC Historian. Girls on the Run! FWC is proud to be the host and a sponsor of this organization! Go Girls!! The Flemington Woman’s Club celebrated National Salute to Veteran Patients Week by visiting the Lyons Veterans Hospital in Lyons, NJ and providing a dinner party and gift bags to the woman veterans in the Trauma Unit. The purpose of the visit was to pay tribute and express appreciation to these brave women for their service to our country. 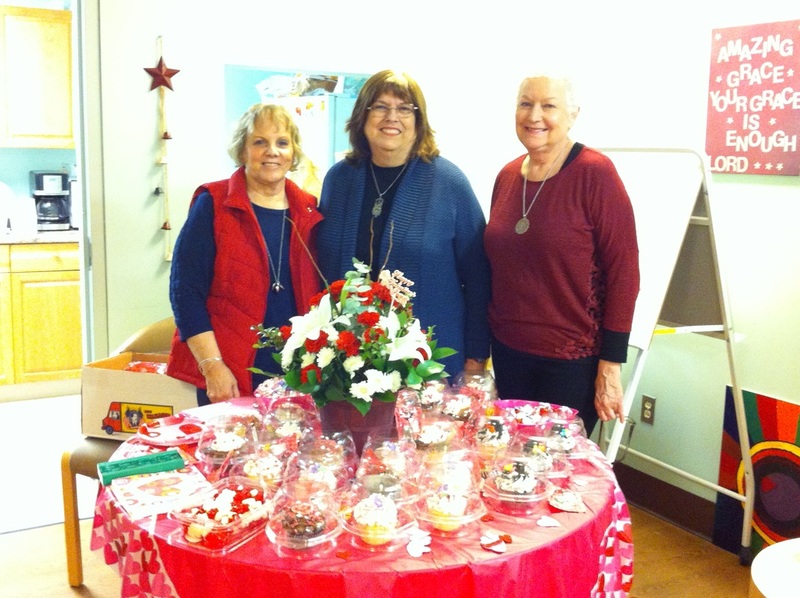 Gifts and dinner were purchase through a special collection at the January meeting of the FWC. Honoring the woman veterans at Lyons Veterans Hospital is an annual event for the woman’s club. A $3,000. donation was made to Meals on Wheels. This organization assists the home-bound elderly and disabled to maintain and improve their health by delivering nutritious meals to them every day, and to operate nutrition centers that serve elderly residents of Hunterdon County who are not home-bound by providing nutritionally balanced hot meals, educational, cultural and social activities Monday through Friday. Emily Li receives a check for $3,000. from Joan Wolsiefer, FWC Education Chair. Emily will attend Brown University in the fall. Her field of interest is medicine.